I’m tired of doing tours. I might be back in a year or so with something better, more special, and inclusive. 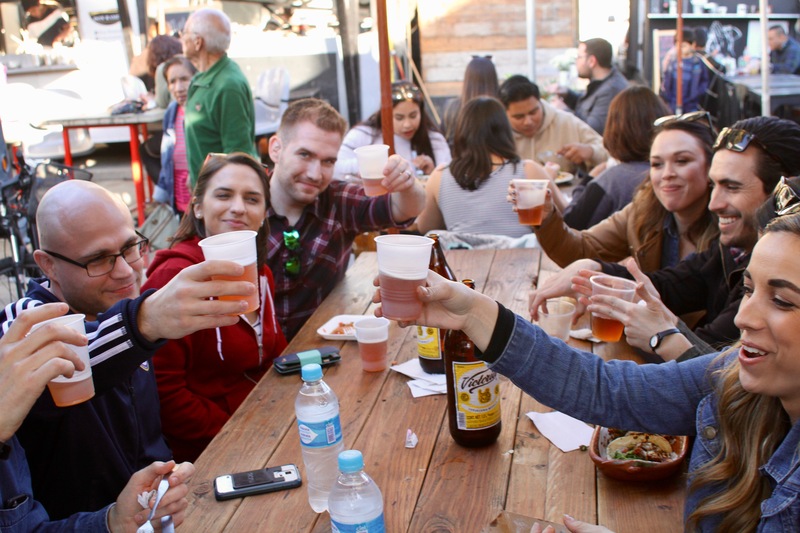 For now, check out my food and beer reviews all over Tijuana, Baja, and California stuff as well! Follow Tijuana Adventure Instagram to see great pictures of food, extensive text reviews and recommendations, and much more. A million thanks to all those who adventured with me. It was a crazy ride! Tijuana Adventure started as a tour service around 2012 when friends from Los Angeles started to visit me frequently and the idea came about that I should charge for my help. Now I do exclusive, friendly, and personal tours. No public events, only private groups like the one below. That was for a girl’s birthday and they all already knew each other. I am also known for doing crazy bachelor parties. So if that’s what you are looking for, contact me and we’ll figure it out. More than anything, tours are improvised, casual, and a lot of fun. So if this sounds like something for you, shoot me an email! Tijuana Walking Tour, Let’s Go Clandestino, Tijuana Alternative Tours, ClubTengoHambre, AlgoBien, and probably others more that I am not aware off. BLAH I’LL FINISH THIS LATER!